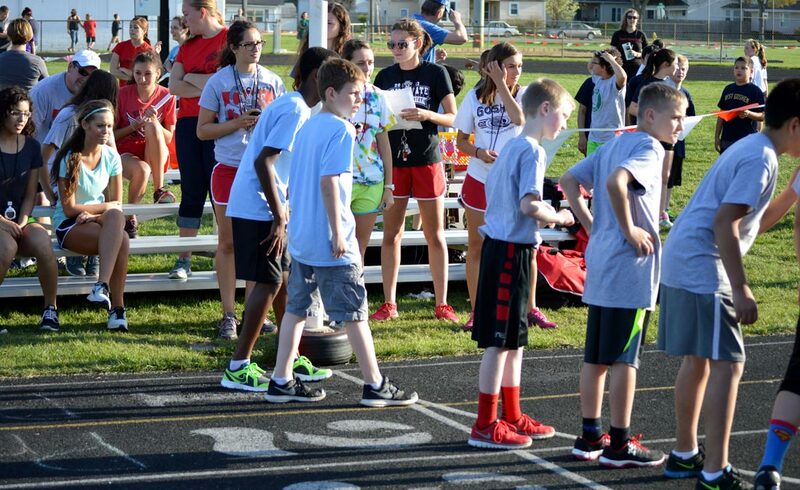 I write this story on the heels of the Elementary School Track Meet that was held at GHS on Friday, May 1, 2015. I think it is worth sharing. In 2007, our youngest son, Yabi, was adopted from Ethiopia when he was 2 1/2 years old. Yabi was one of those children who learned English quickly, embraced his new family, and earnestly demonstrated his zeal and love for life. 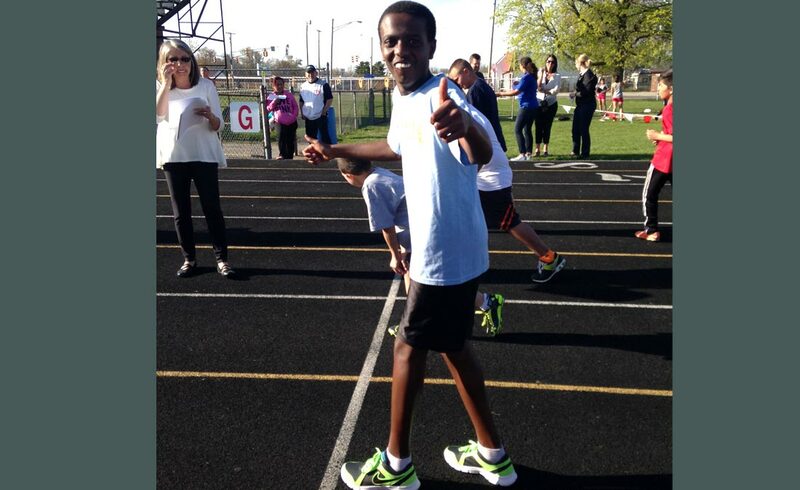 For three years, Yabi lived with us while being separated from his older, biological, birth brother Kia, a child with special needs who remained in Ethiopia. It was during this time that we realized the close connection these two boys carried in their hearts for one another even though they were separated by many miles and an ocean. 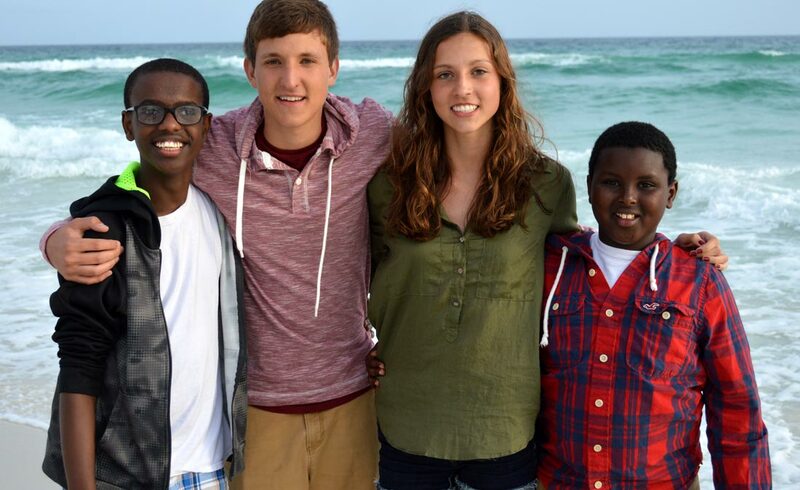 In 2010, Kia joined our family completing the Kurtz clan of four children: Seth, Hannah, Kia, and Yabi. Yabi and Kia are brothers who have a typical love/disgust relationship but at the end of the day, they are each other’s biggest cheerleaders and look out for each other. 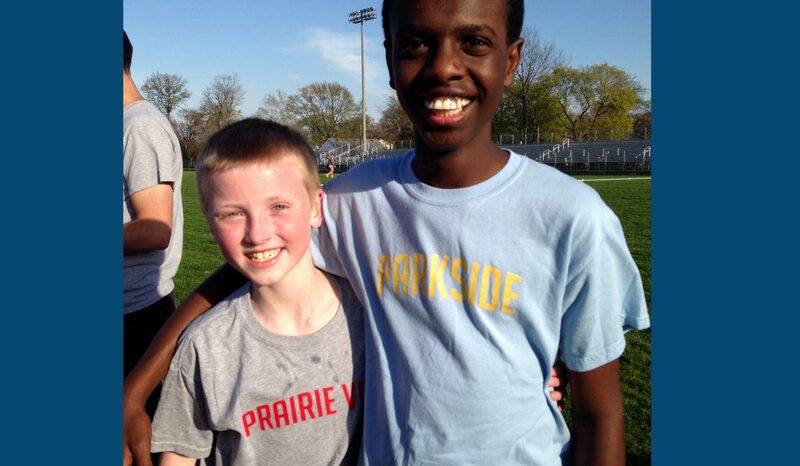 Our boys go to Parkside and they have both thrived in this environment. 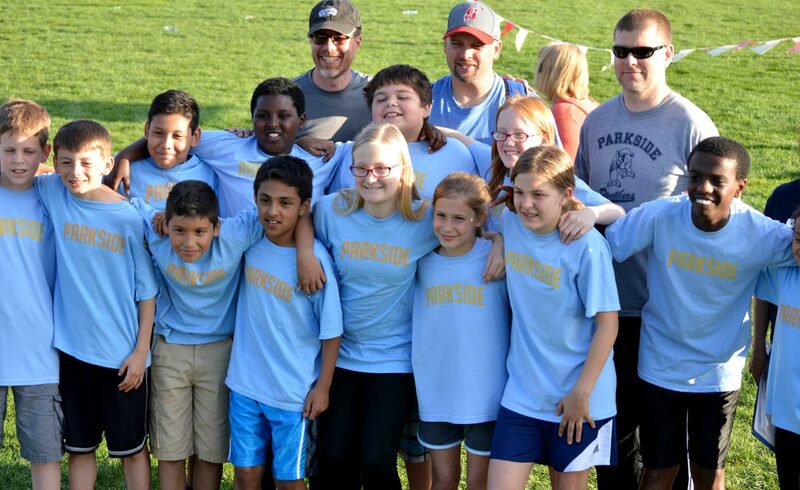 They have both been accepted, loved, and cared for by many exceptional educators, coaches, mentors, and classmates at Parkside Elementary as well as the larger Goshen Community. Today, Yabi and Kia both participated in the Elementary School Track Meet thanks to John Lichty who is the leader of this successful event. 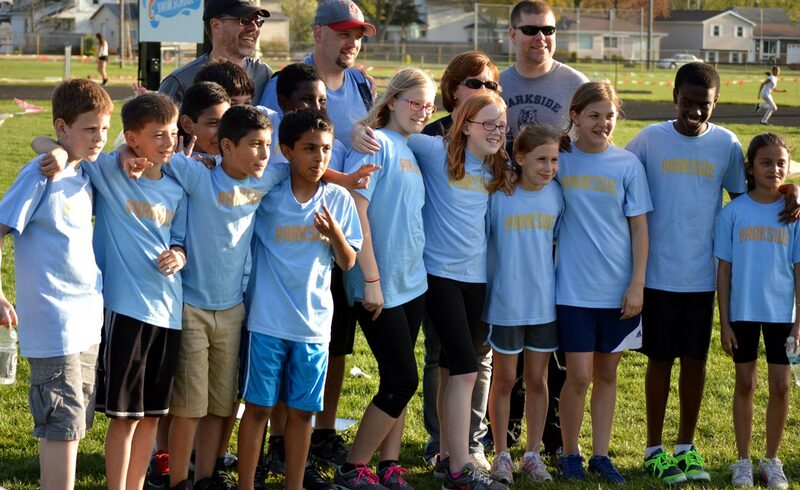 Because I had helped with the Parkside track team, I was on the field watching the action first hand and making sure that Kia got to all of his events. When the gun sounded for the 400-meter race, Kia was off and running. I was standing on the opposite side of the track watching as he came around the curve and was headed down the straightaway. As he approached me, toward the back of the pack, I noticed that someone was running with him … staying at his side … maybe even talking to him? As the boys neared, I noticed it was Yabi’s good friend Carter Schmucker, who is a student at Prairie View Elementary School. Carter continued to run with Kia until about the 200 meter range. His mom, Tina, who did not know why Carter was trailing so far behind, yelled from the sideline to “run!”. Carter took off running full-speed ahead. He passed a handful of guys getting closer to the front of the pack as they crossed the finish line. Given Carter’s athleticism, it is likely that he would have crossed the finish line as one of the top fifth grade 400 meter runners, but he was looking out for Kia, his friend’s brother … running side-by-side … keeping him going. By the time I caught up with Carter’s mom and explained what had just happened, we were both teary-eyed as to what had just unfolded in front of us. There are many kind souls in our community who embrace and look out for others. But in my mind, as a mother of a child with diverse needs and abilities, and as a special education teacher, Carter not only displayed compassion toward a friend, he displayed an act of heroism. In our society, where there is much disrespect and disregard for individuals who may think, look, learn, or act differently than us, this is a small but enormous act of kindness that gives me hope for the future. Thank you, Carter! You were a hero today … not only to Kia, but also to Yabi. As a mother, I will hold this day in my heart forever.